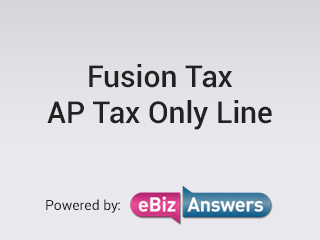 Provided by eBiz Answers Ltd, Fusion.tax is a website dedicated to the configuration and support of Oracle Fusion Tax. With the help of our ‘how-to’ guides, video tutorials, white papers and webinars this site aims to provide the tools, resources and know-how for Oracle Fusion users to achieve global end results. 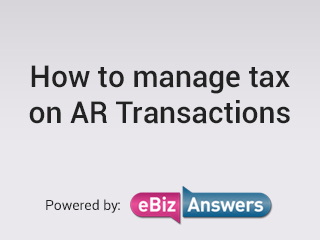 Dedicated video tutorials for the set-up and configuration of Fusion Tax from the experts at eBiz Answers. 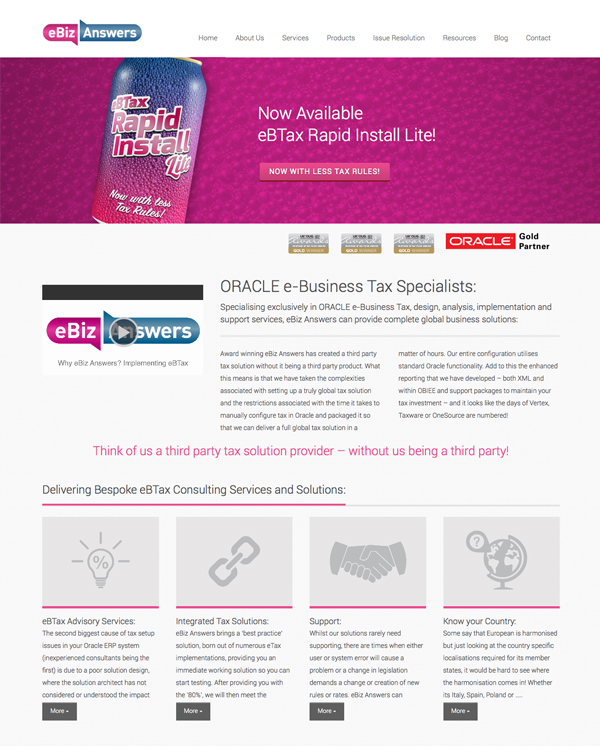 A comphrenshive resource for Oracle Fusion Tax and fully automated solutions. Expert user guides to support the development, set-ups and configurations within Fusion Tax. It’s not just your suppliers that send you invoices! Use this video when you need to enter tax only lines from an invoice from customs. Your tax should be automatic, but if you need to override it when creating a transaction for your customer, this video will help you manage the indirect tax. Before you even begin, you need to make sure your layout is correct. 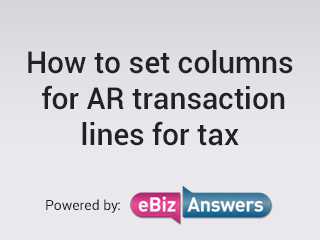 This video helps you set the columns for optimal indirect tax use.